Guest post 2019-02-08 Technologies, Trends. 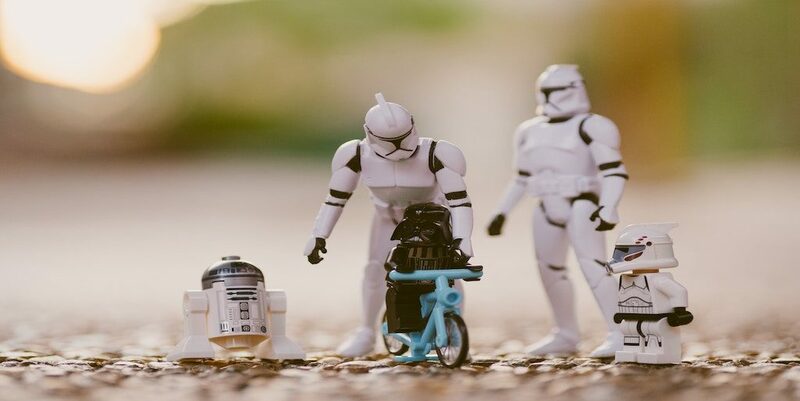 According to Deloitte, as many as 43% of all organizations globally are looking at robotics process automation (RPA) as a way to reduce the cost of software delivery to end users, while 57% are seeking to increase the quality of internal and external processes. Whenever an organization decides to re-engineer its business processes by implementing a business process robotization technology (aka Robotic Process Automation, or RPA), the following dilemma arises: should you build your own RPA competency center or transfer the function of software development and support to specialist external providers? At first glance, doing RPA on your own may seem to be more reasonable and cost-effective as you’ll fully rely on your HR team or IT staffing partner to source the right talent for your RPA project. While it may be true for the project kickoff, scaling the RPA implementation team may pose a huge impediment for many businesses, as talent shortage is a critical challenge in the Western world. When time to hire IT professionals locally becomes indefinite or too long (e.g., 2-3+ months), your entire go-to-market strategy is at risk of failure. Are you, as a company, ready to invest in the search, hiring, training, and retention of high-caliber tech specialist? As mentioned above, searching and finding talent for your hard-to-fill positions can be a daunting task for your in-house or onshore HR and recruitment teams, especially if you run a non-IT-related business. Your internal recruitment needs to be trained and qualified to do tech recruitment the right way and if you partner with a local staffing agency, note they’ll search within the same pool as hundreds of other local staffing agencies, so you’ll be basically competing for the same resources with other local businesses, which can be a bummer and can kill your whole RPA project. Also, don’t forget that all RPA related skills are pretty new and have yet to be developed. As our 8allocate’s experience shows, it takes at least 6 months to train a qualified RPA engineer, and it takes about 2 years to grow a mature PRA analyst internally. Taking into account the fact that the technology is new for the market, it is rather difficult to find ready specialists of the required competency level, and their retention will cost organizations twice as much as retaining tech specialists with mainstream skills (mostly because you’ll have to invest heavily in their upskilling and reskilling). The global market for RPA technologies is constantly evolving, and the techniques and methods of robotization are being constantly improved. Suppliers of RPA platforms have recently been actively working to enhance the cognitive functions of their software products, in particular, the use of Machine Learning (ML) and Artificial Intelligence (AI) technologies. And this, in turn, will require a constant increase in the level of competency of employees, which will entail additional costs for the organization. From this perspective, specialist organizations with vast internal expertise will always be a few steps ahead, because for them it is the main business in which they invest substantial costs and efforts. In the long term, organizations will also need to invest in the management of software robots and in technical support of already implemented and constantly evolving RPA technologies. Therefore, it is recommended that companies allocate special resources for creating their own RPA competency centers if robotization of business processes is not their core activity. Wouldn't it be more appropriate to spend these time and efforts on improving your own products and services by entrusting an RPA project implementation to professionals who will perform it faster, more efficiently and with guaranteed results? RPA solutions outsourcing allows you to get immediate access to highly qualified resources to launch your RPA project. By “team” we mean a group of certified RPA analysts and RPA developers with relevant hard and soft skills and a few successful projects in their portfolio. Using an outsourcing provider with a strong internal knowledge base for your RPA implementation will increase your chance of achieving maximum efficiency from this endeavor, and will ensure a quick start of your RPA project and its timely and successful completion. Having outsourced your RPA project to an external provider, you can funnel your existing workforce to solve your core strategic tasks (e.g., improving products, services, etc. ), which will certainly prove to be more beneficial for your business. Transferring the RPA deployment project to a professional outsourcing partner will shorten your time to find the most suitable approach to RPA implementation and help avoid erroneous actions while deploying RPA and, thus, will help avoid any extra expenditures and overheads. Outsourcing allows companies to avoid uncontrolled inappropriate costs. An organization frees up its capital to invest in a different business project/product and only pays for provider’s resources it leverages. Thus, outsourcing provides greater flexibility for RPA projects and allows for more efficient use of resources during its implementation. To wrap it up, outsourcing an RPA solution can be a healthy alternative to in-house project development and implementation, as it helps the outsourcing buyers to shorten time to set up an RPA team and, thus, time to launch your RPA system, access untapped foreign pools to source AI/ML and data skilled talent, and do more work for the same budget thanks to cost arbitrage. Vik Bogdanov is Head of Marketing at 8allocate, a b2b tech ecosystem that provides end-to-end custom software engineering solutions by building and hosting clients' extended development teams and supplying ad-hoc resources for software project development. Feel free to reach him on LinkedIn.